The venue is located close to the city center, easily accessible by tram and just 20 minutes drive from the airport. 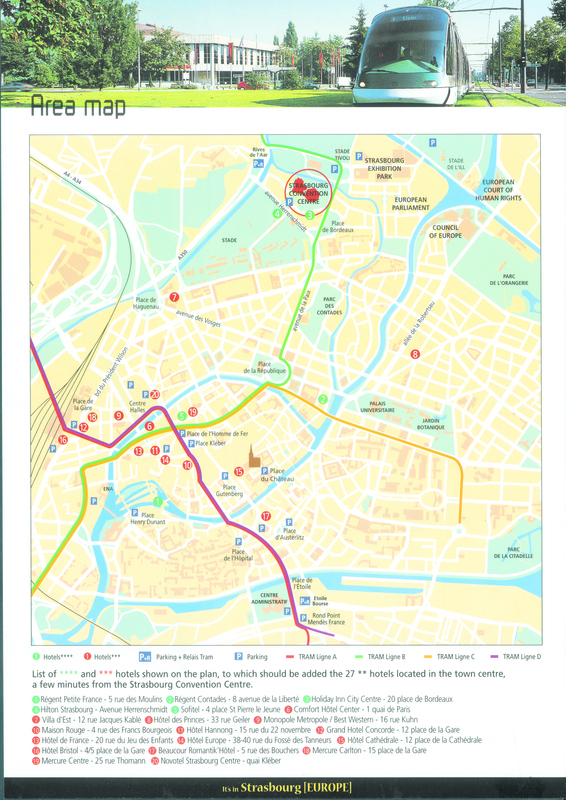 The nearest tram station, “Wacken”, is served by lines B and E. For hotels nearby the Convention & Exhibition Center, please visit the Accommodation page. 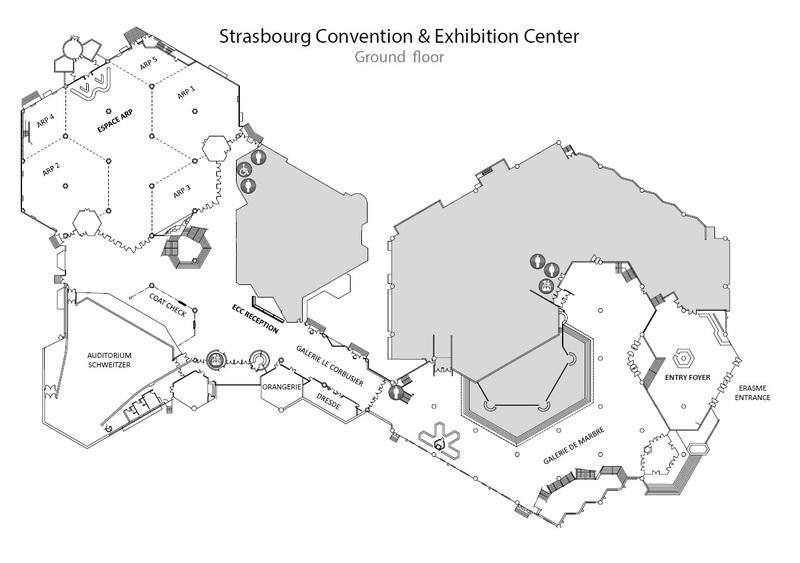 ECC will be held on the ground floor as well as on the first floor of the building. 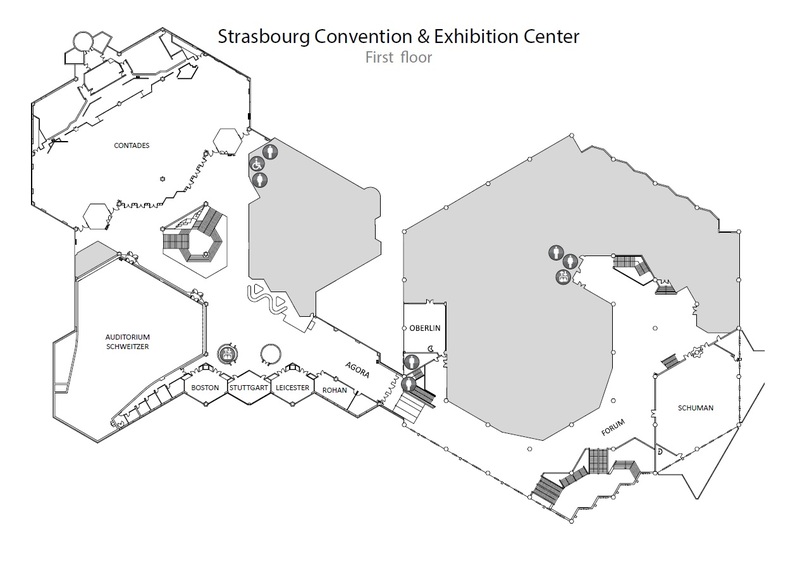 The maps of both floors are given below for your convenience (click to enlarge).